Lunch is the main meal of the day. Eaten between 2-3:30 p.m., it consists of a couple larger dishes and a dessert. A short siesta, or nap, after the midday meal is common, particularly during hot summertime months. Dinner tends to be a lighter meal of soup, fish or fruit around 9-10 p.m. 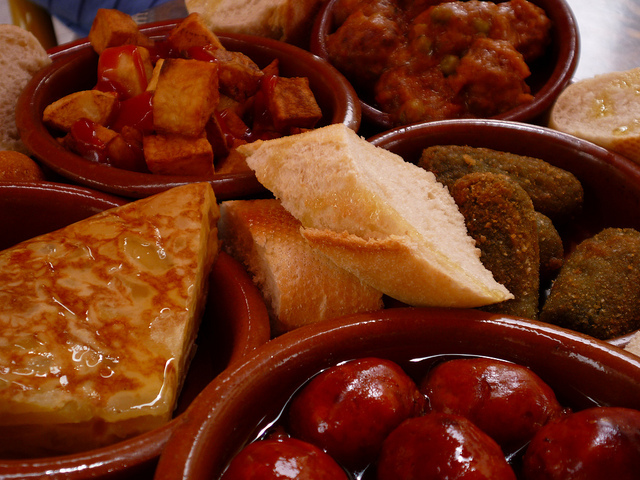 Since dinner is served so late, Spaniards often go “tapas bar hopping” between the time they leave work and eat dinner. This is where small meals with drinks come in handy!